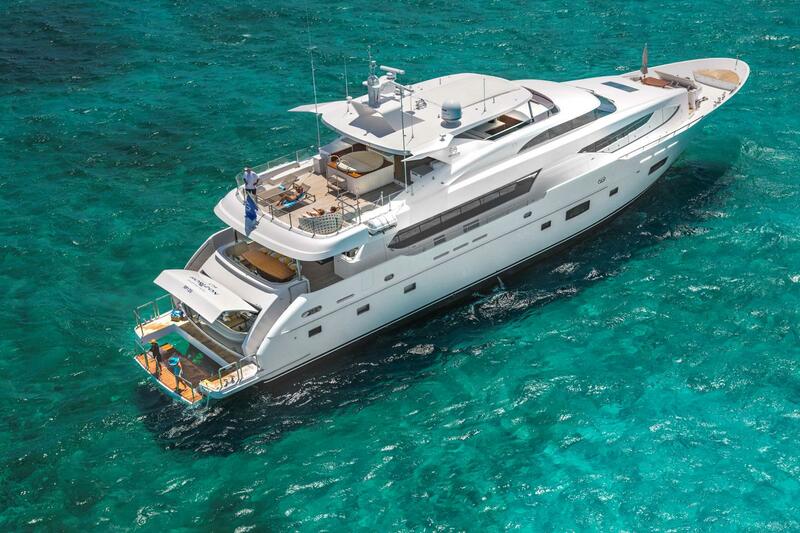 This new Horizon RP120 superyacht features a sleek exterior profile from U.S. designer JC Espinosa built atop Horizon’s proven low resistance hull platform, which ensures superior seakeeping and comfort when under way. 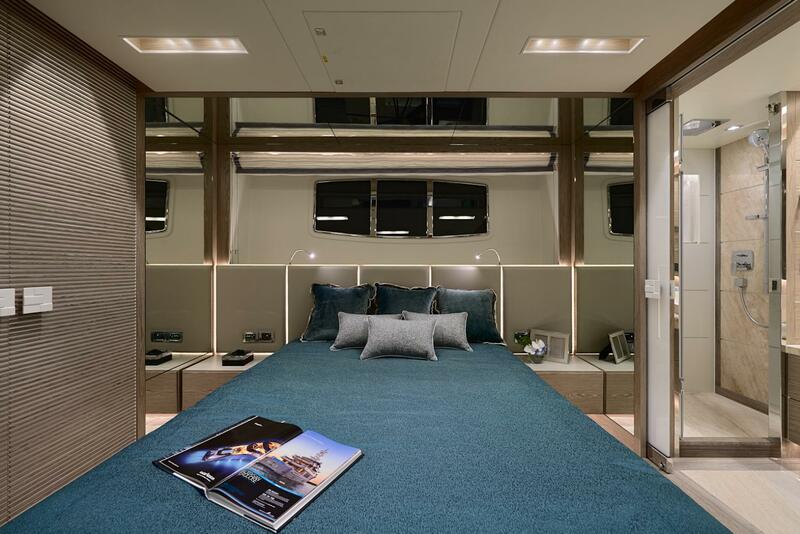 Famed Italian interior designer Luca Dini created a contemporary and elegant interior atmosphere; while there is a strong European influence, the RP120 also emphasizes comfort and usability. 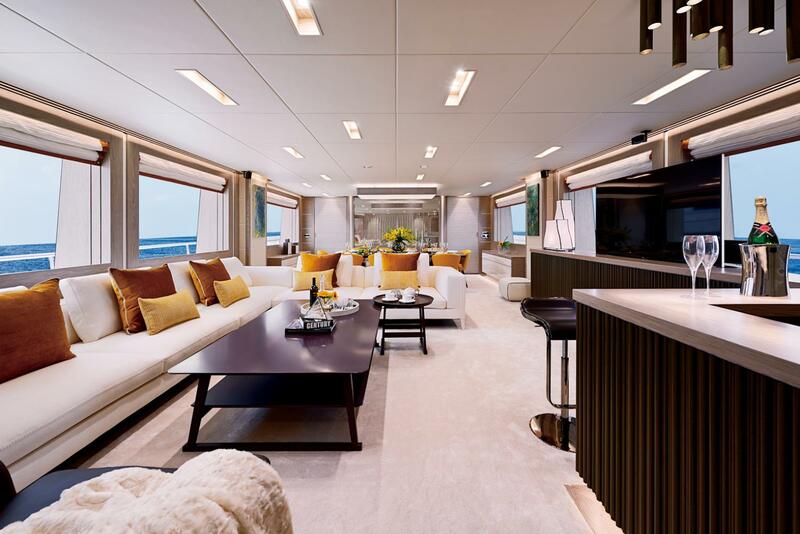 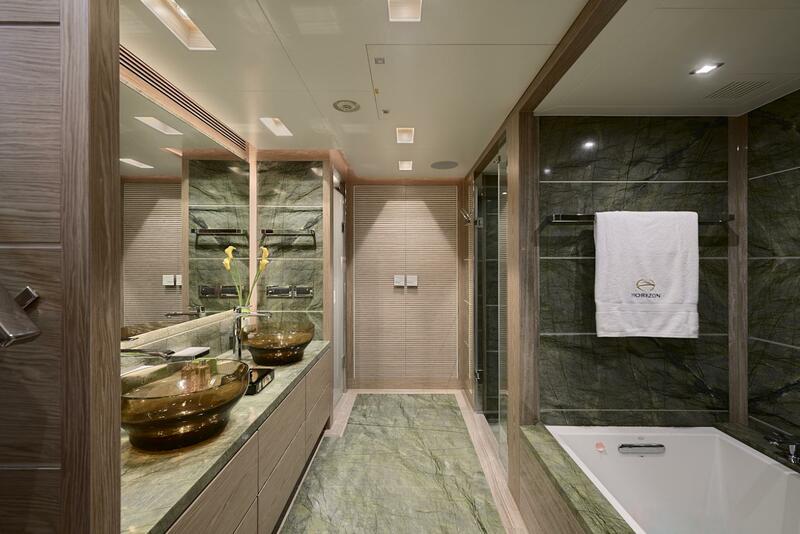 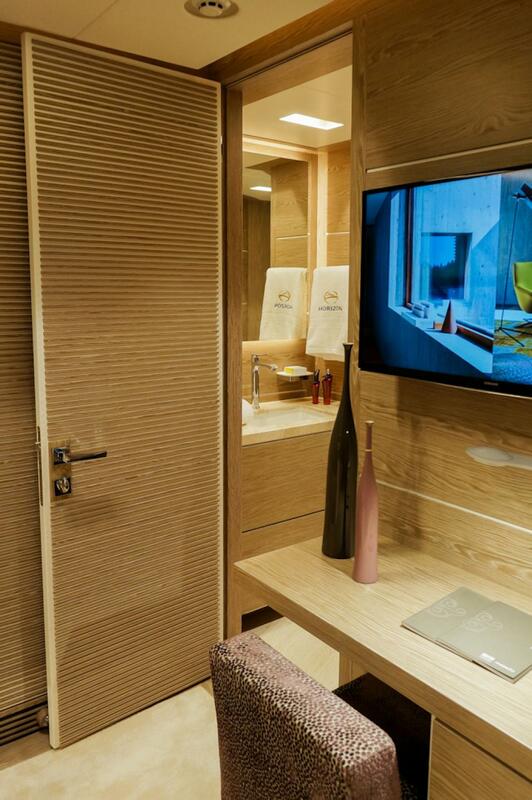 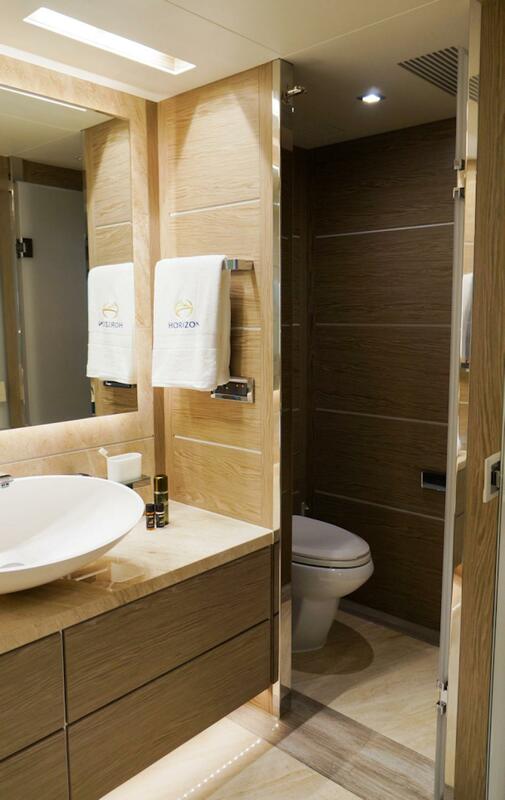 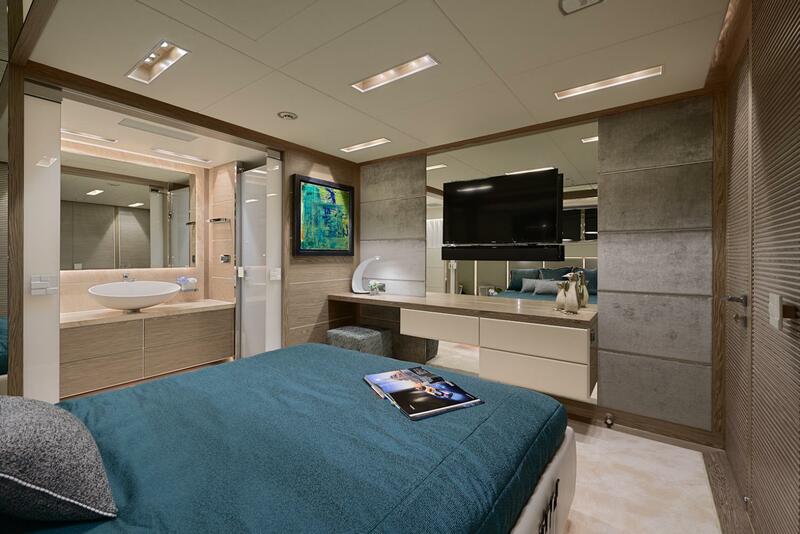 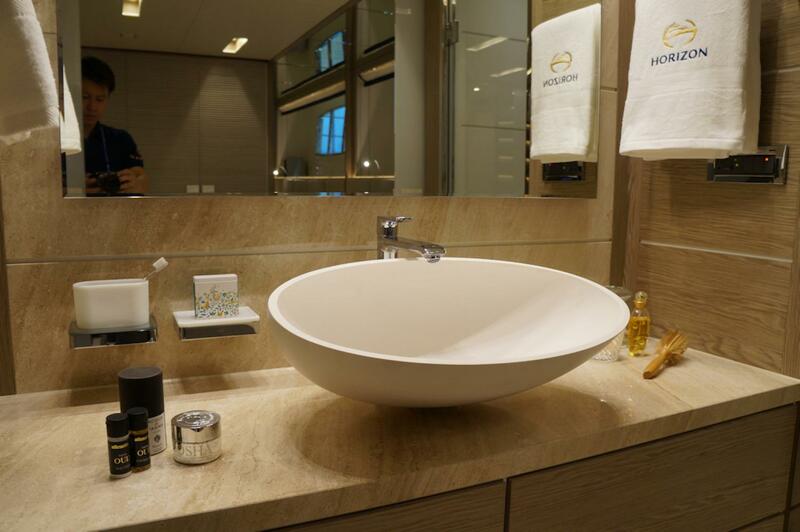 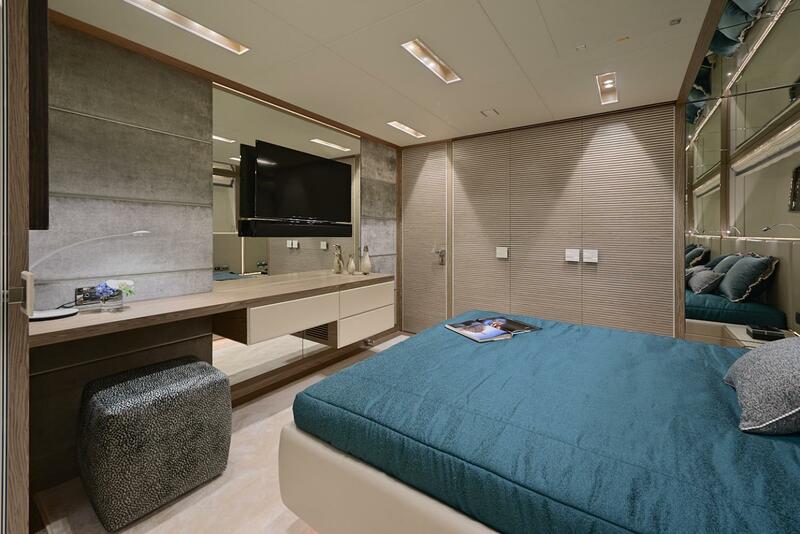 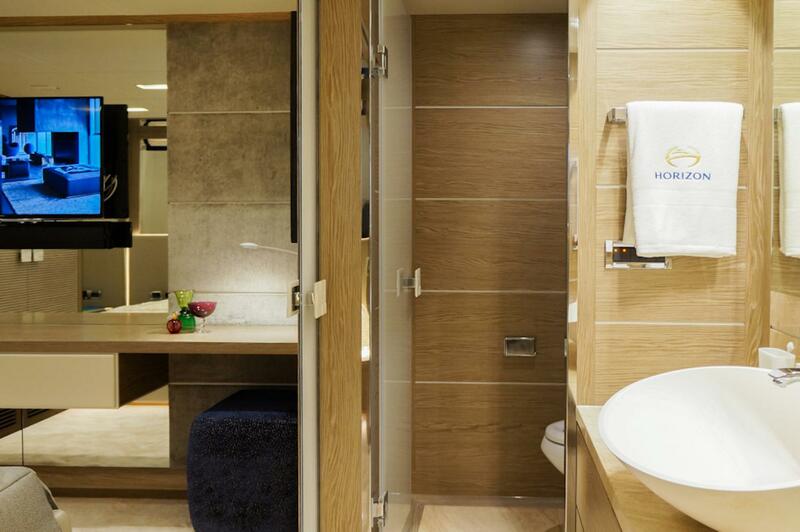 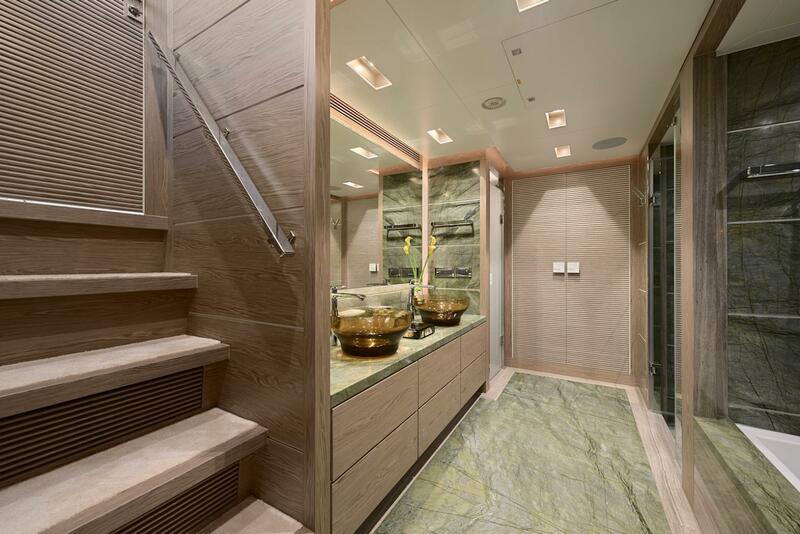 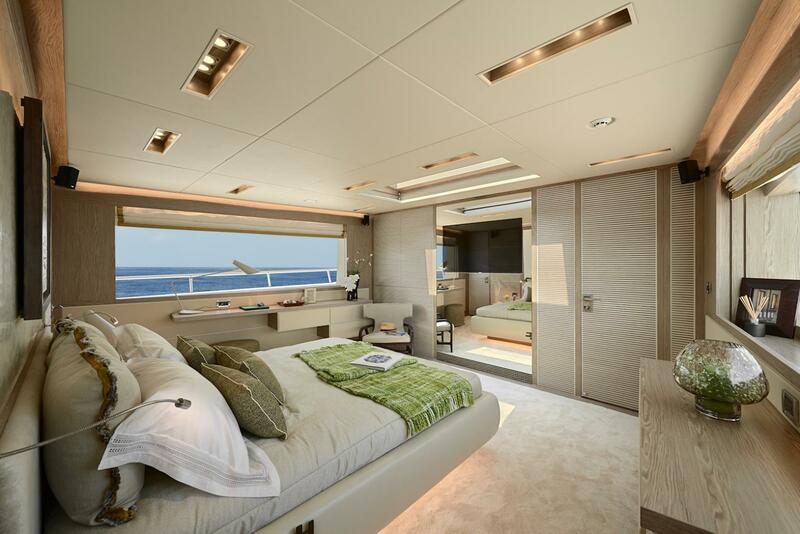 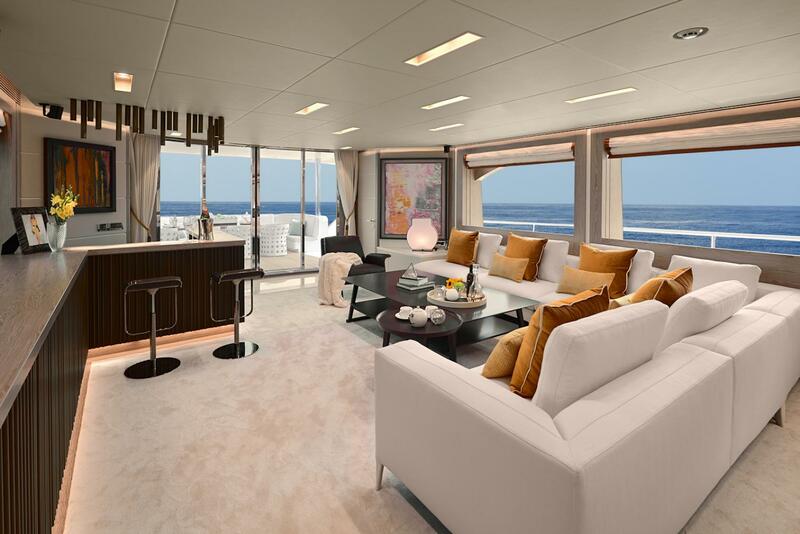 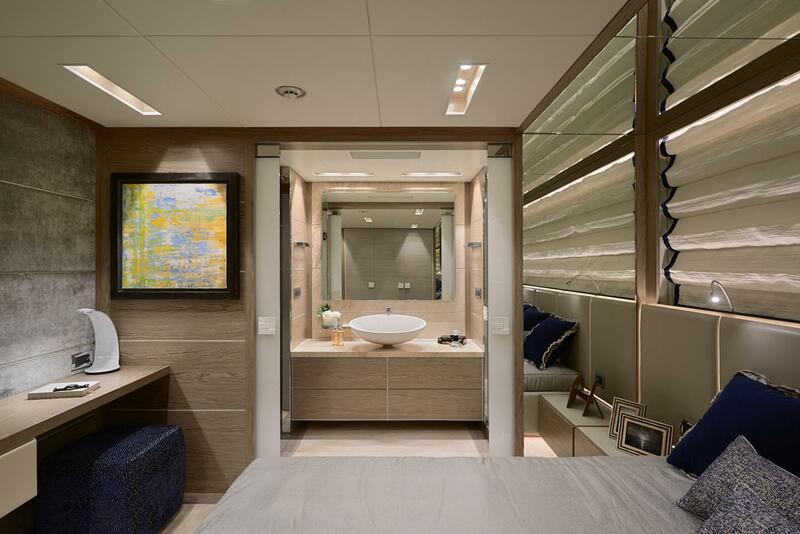 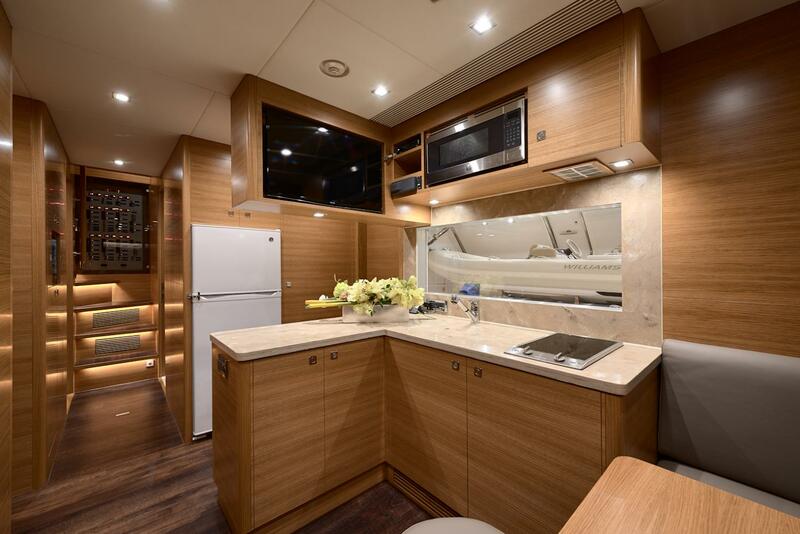 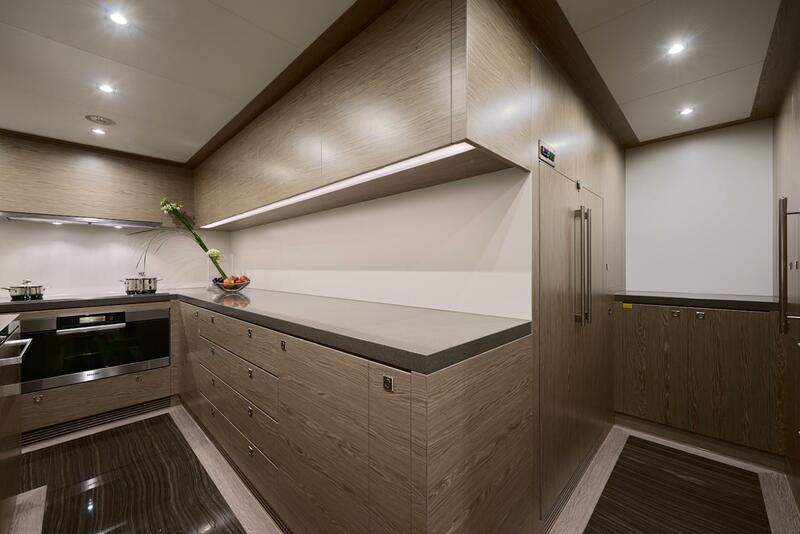 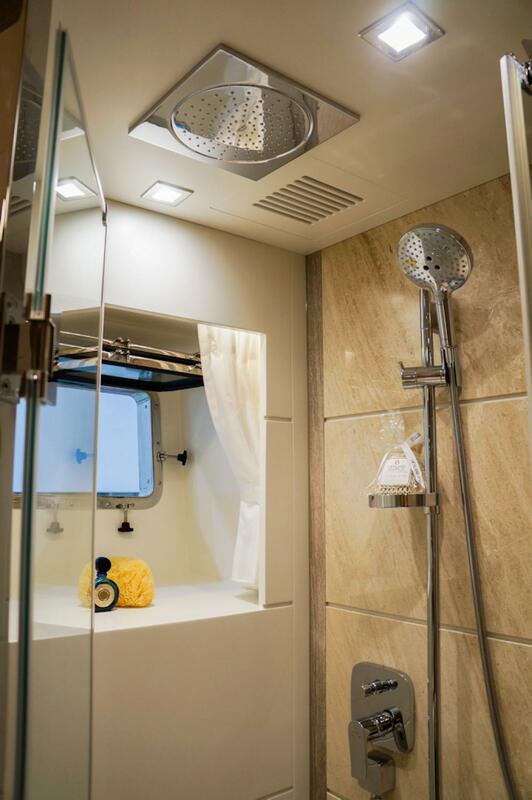 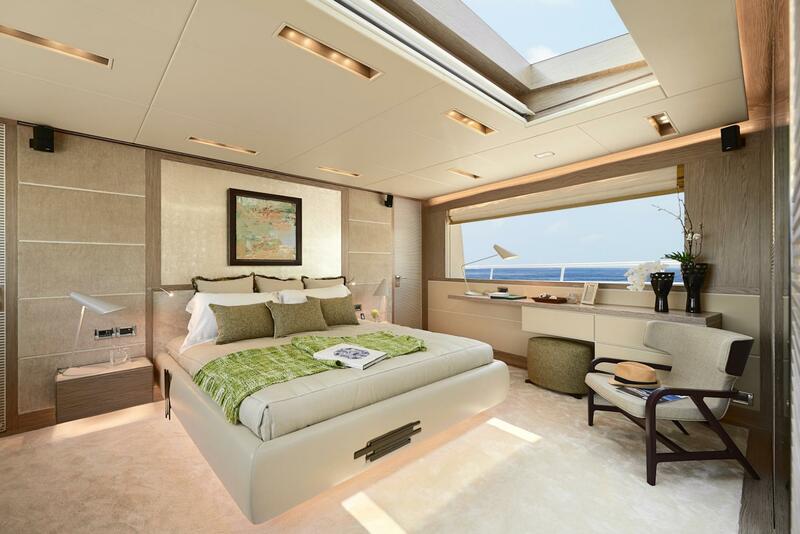 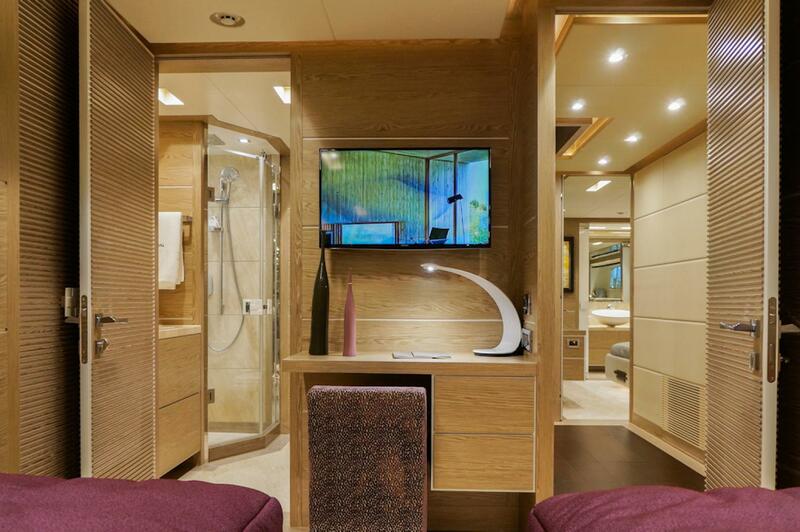 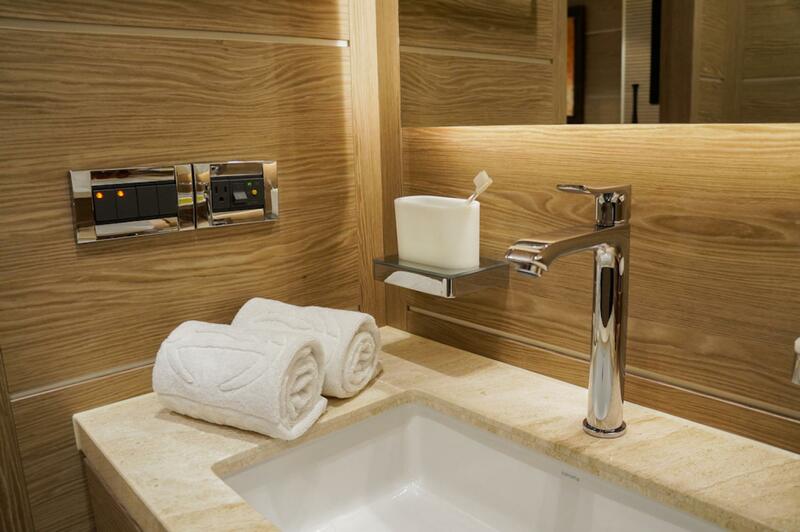 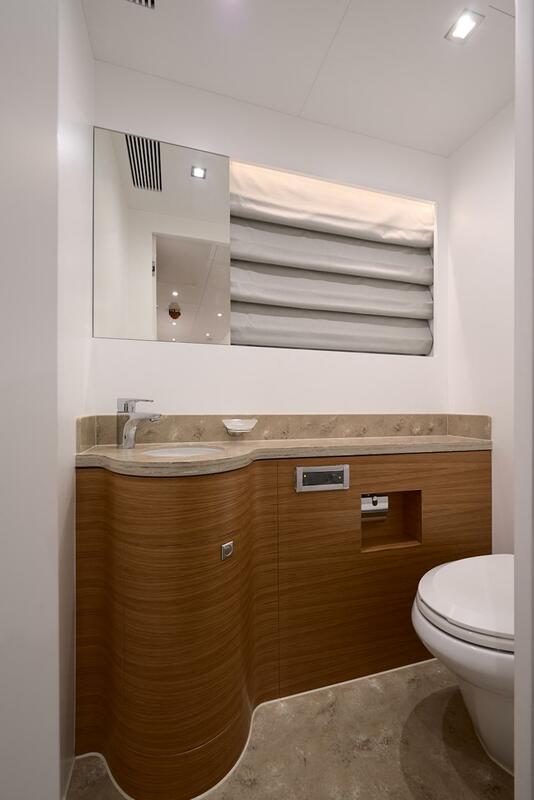 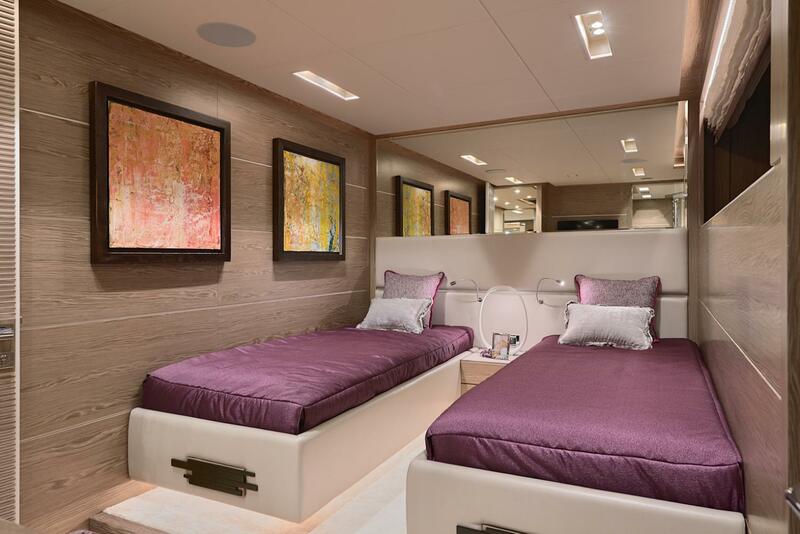 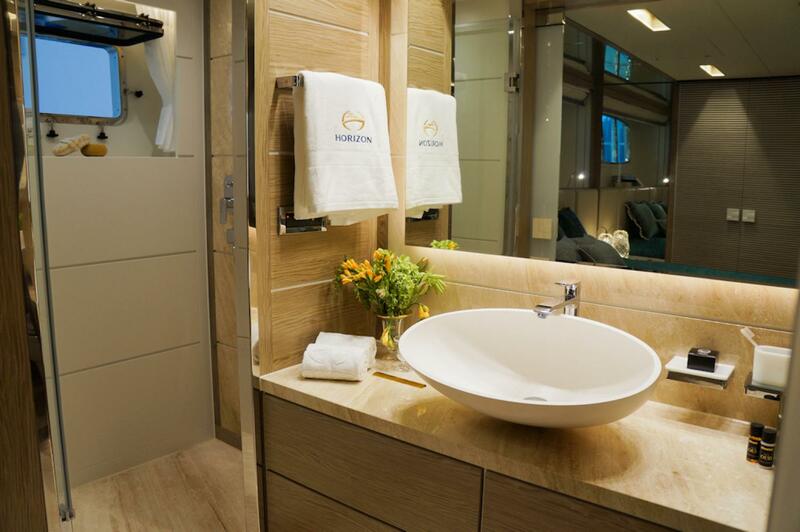 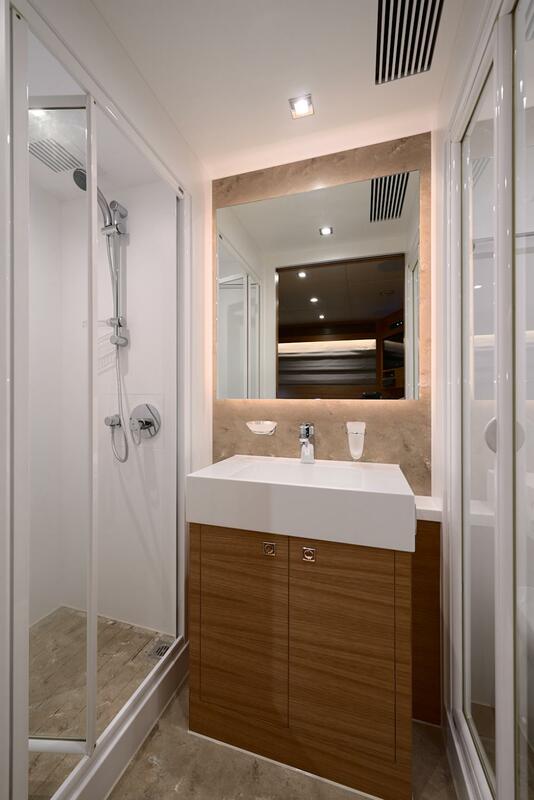 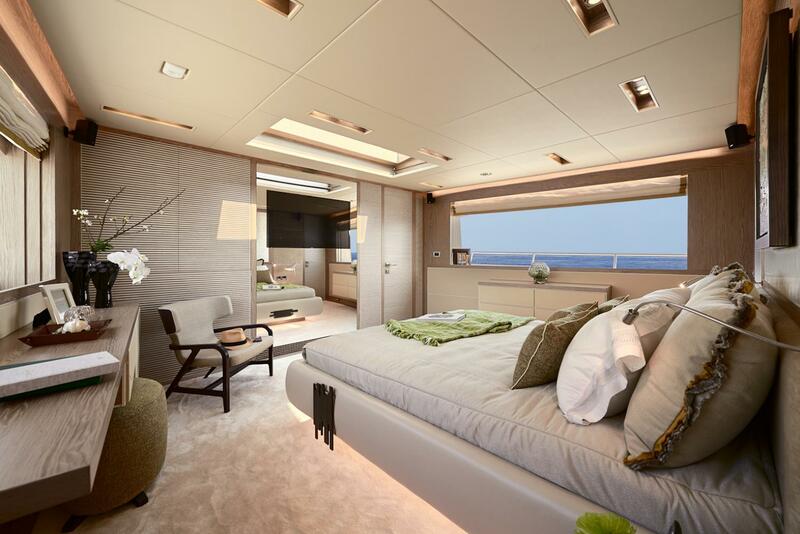 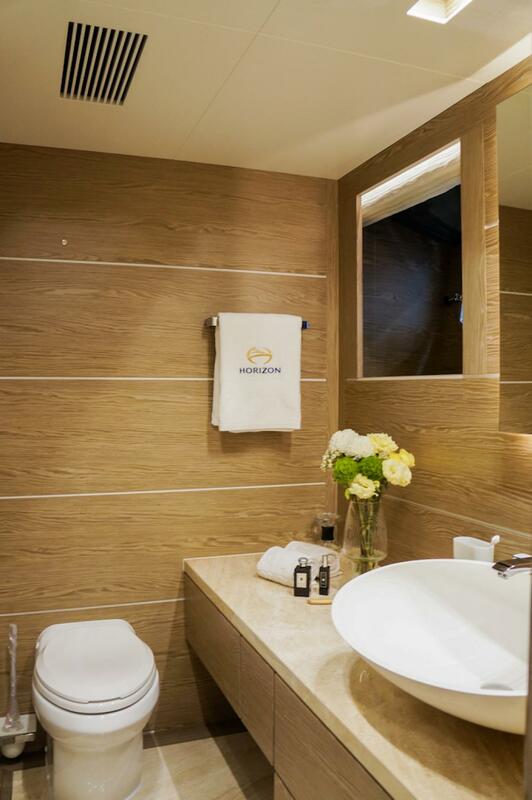 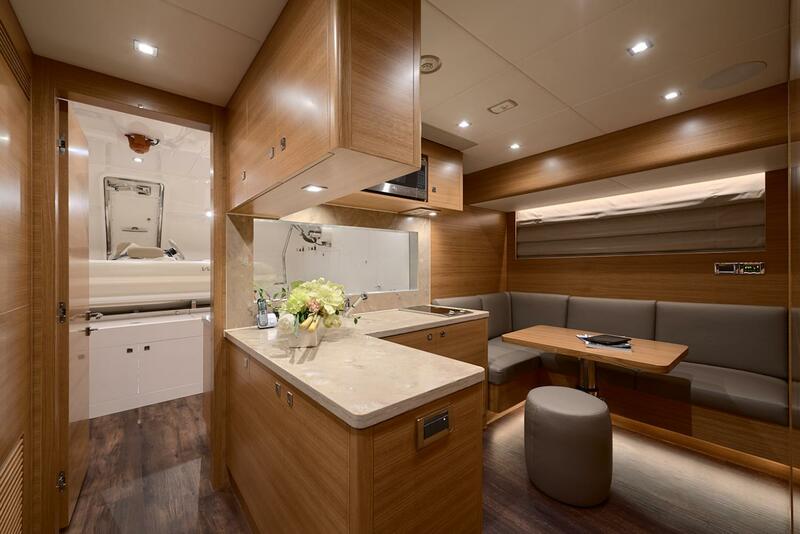 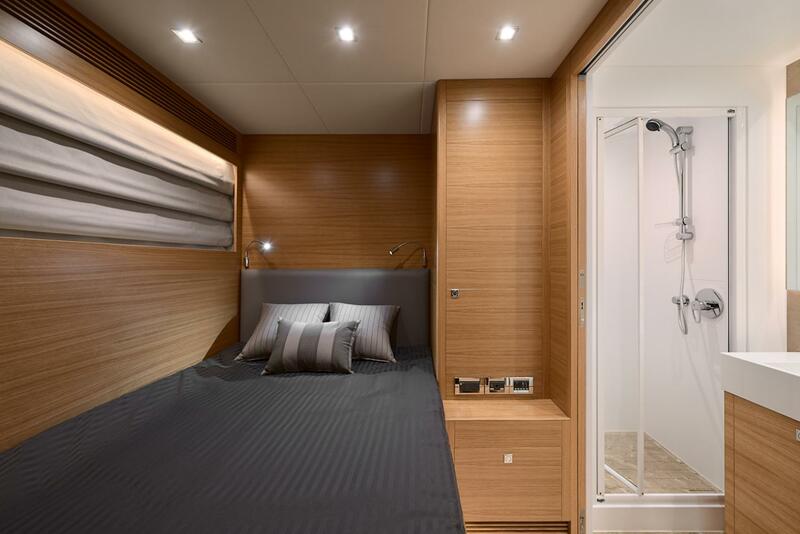 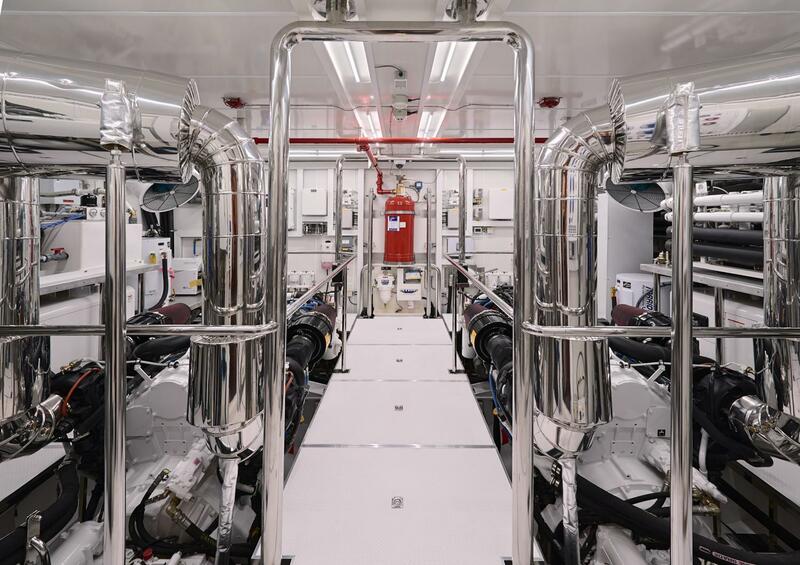 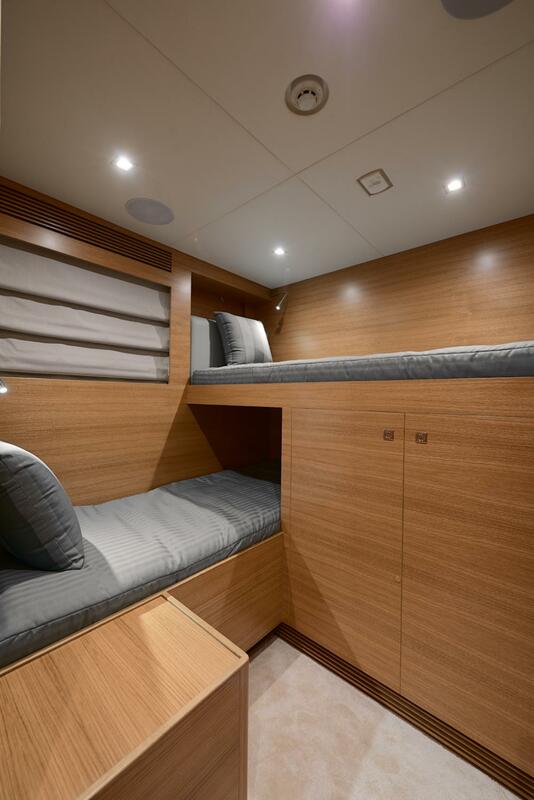 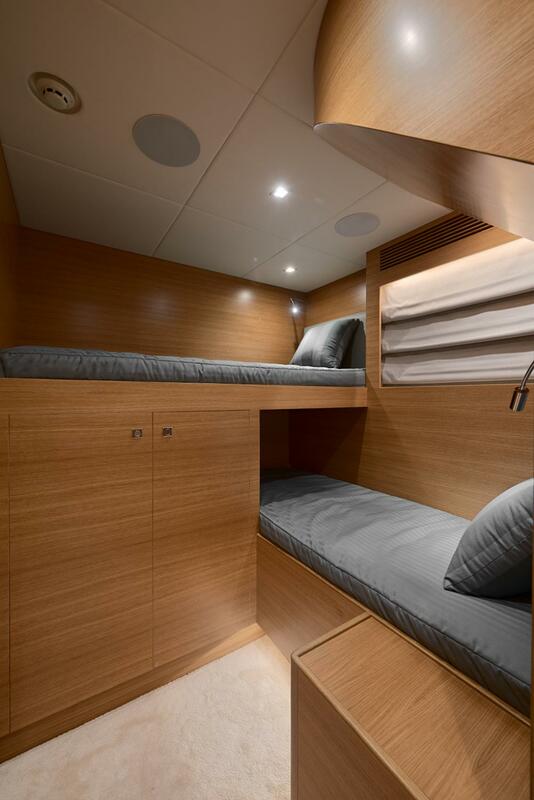 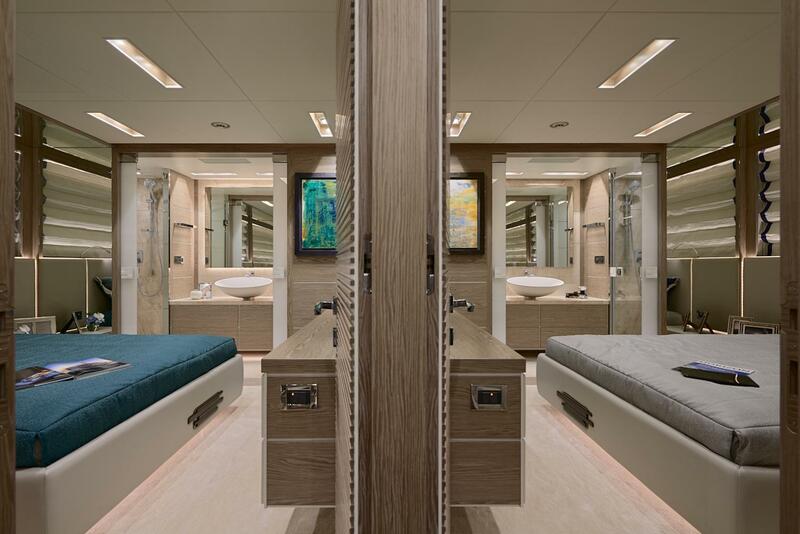 Her 26’2” beam provides a functional five en suite guest stateroom layout – including an on-deck master – plus crew quarters aft of the engines. 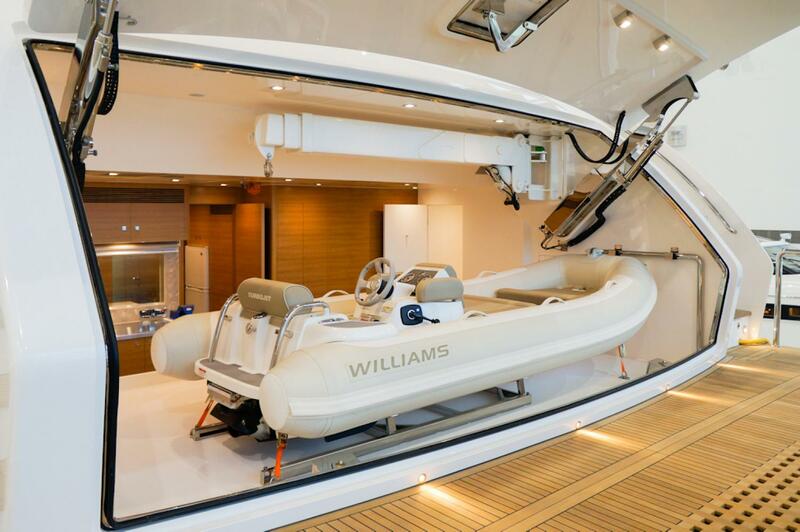 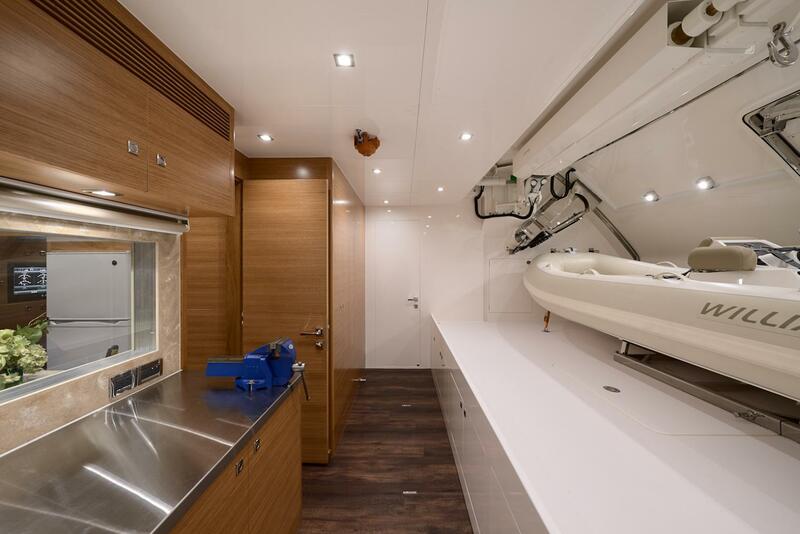 With a 6’8” draft, the RP120 is suited for extended cruises to the Bahamas, where her tender garage and hydraulic swim platform will provide hours of fun and relaxation. 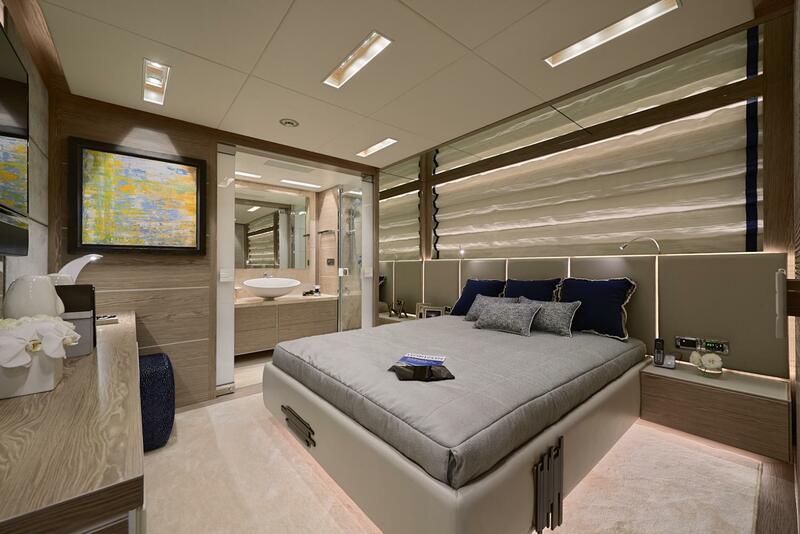 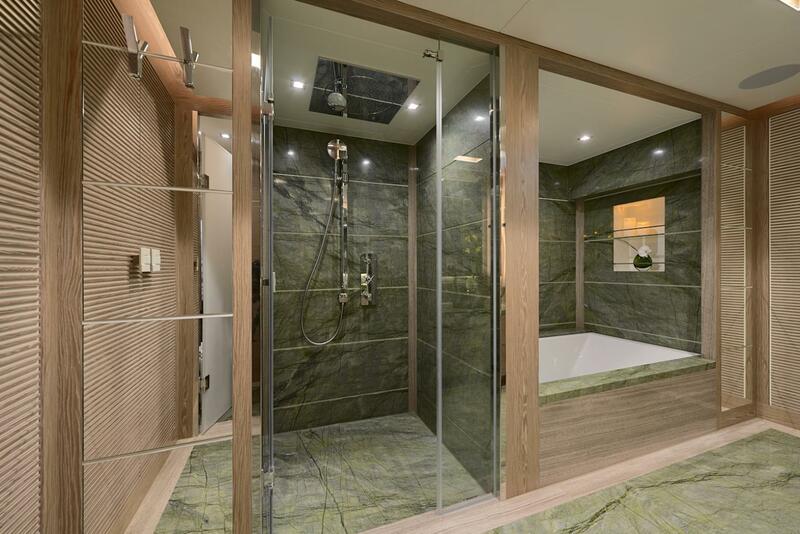 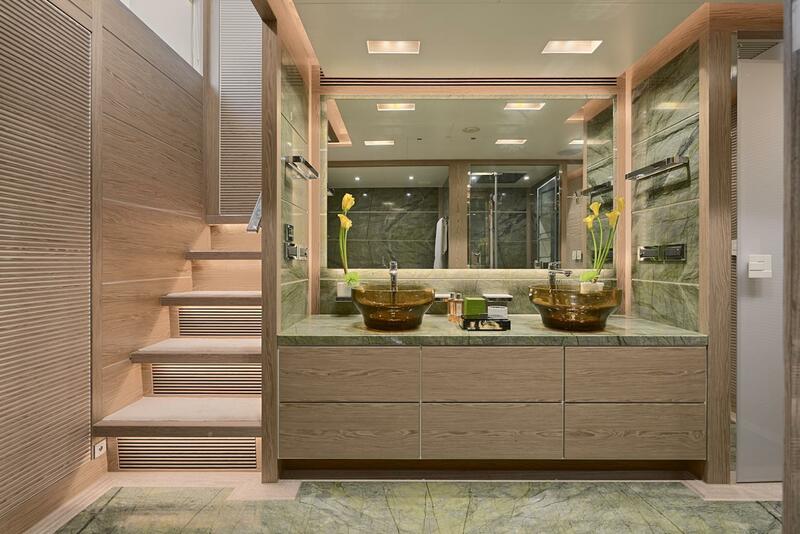 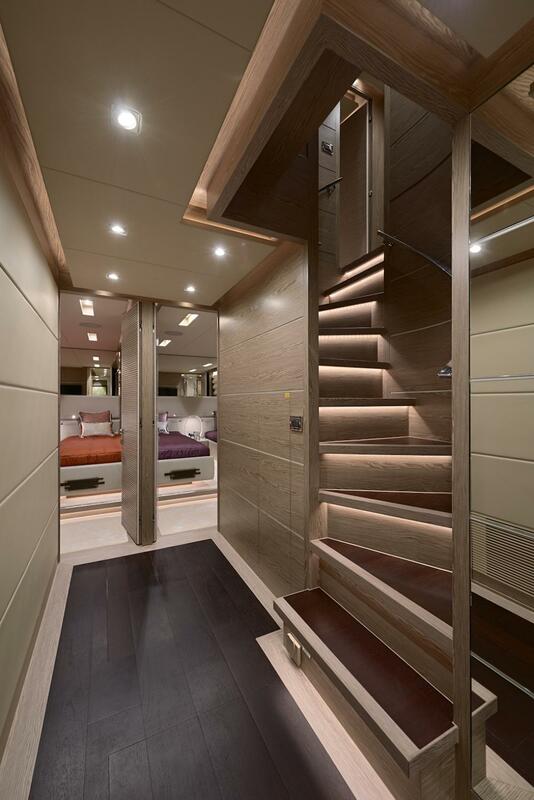 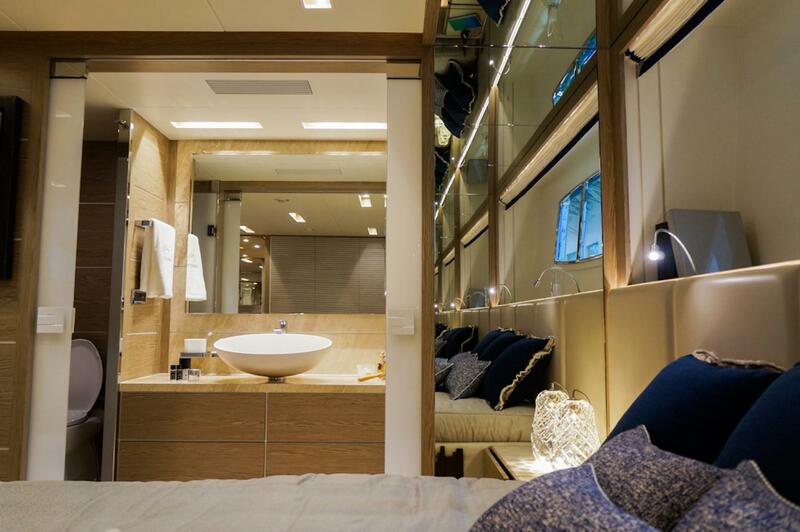 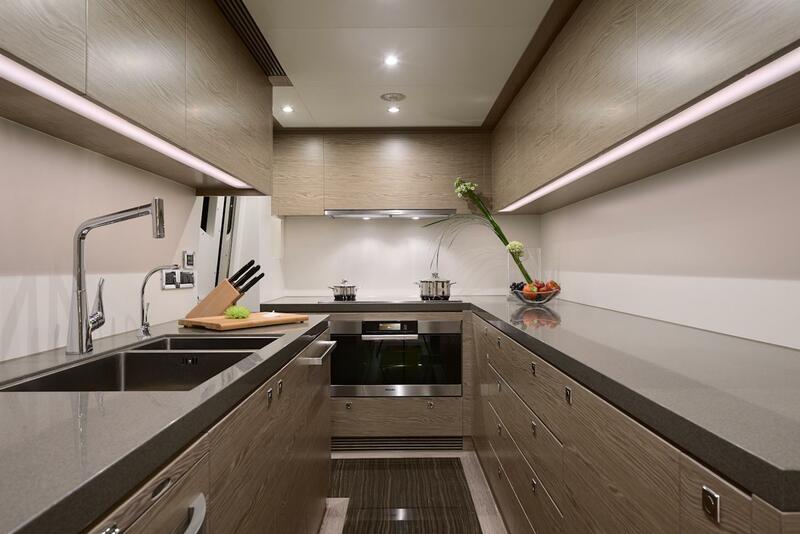 Luxury and functionality unite with the Horizon RP120 superyacht model. 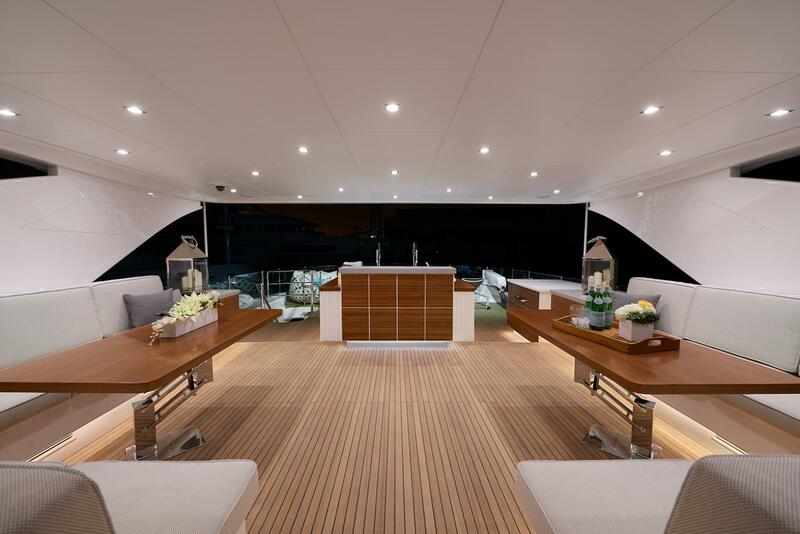 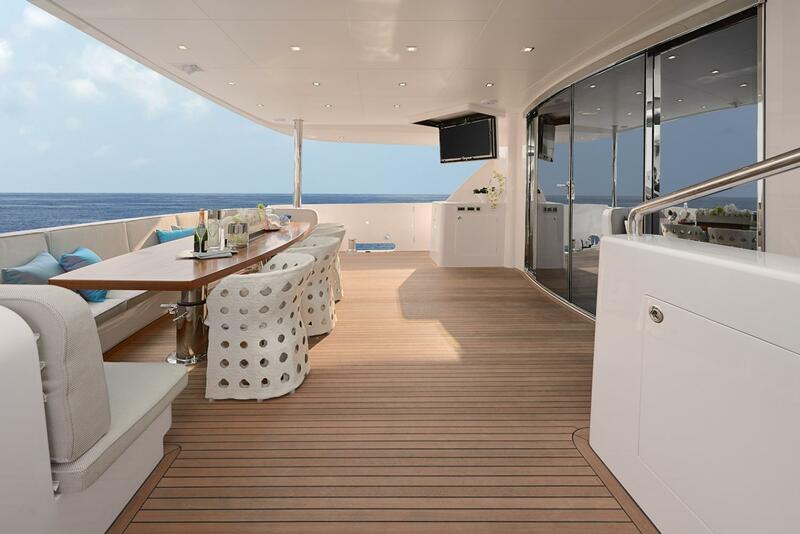 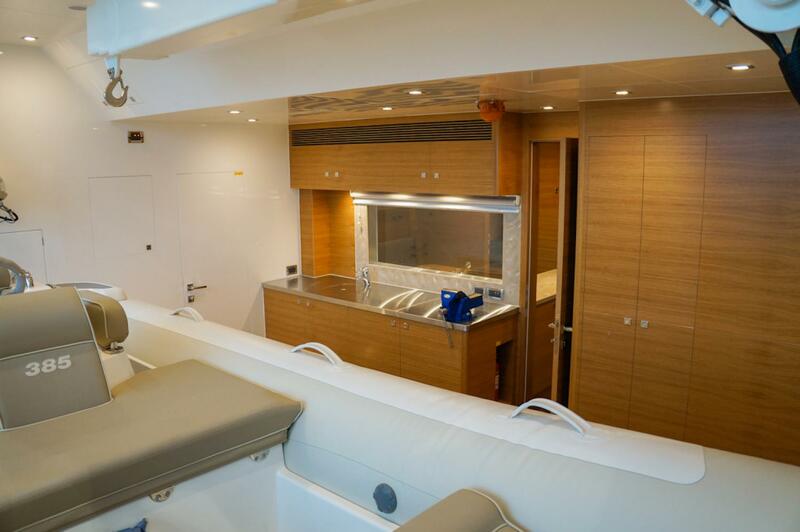 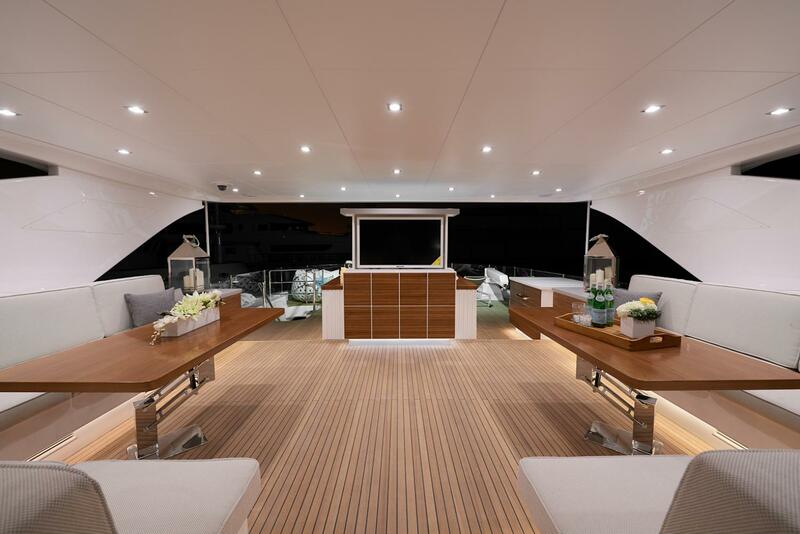 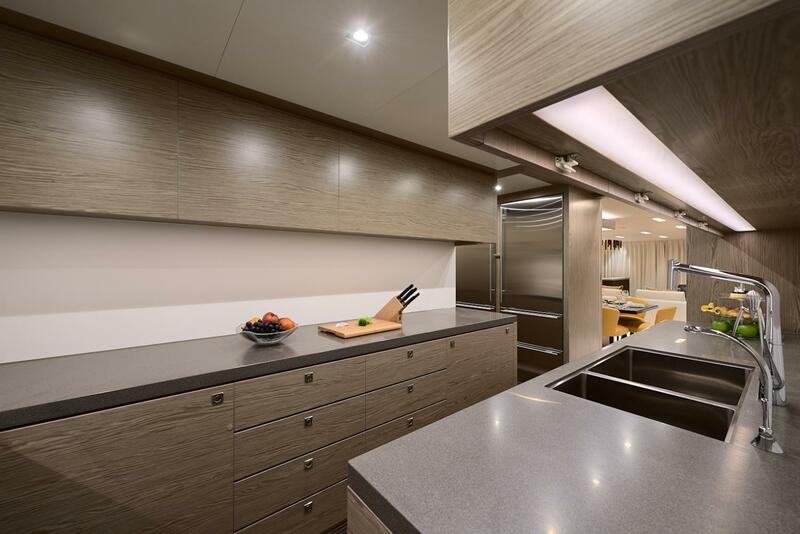 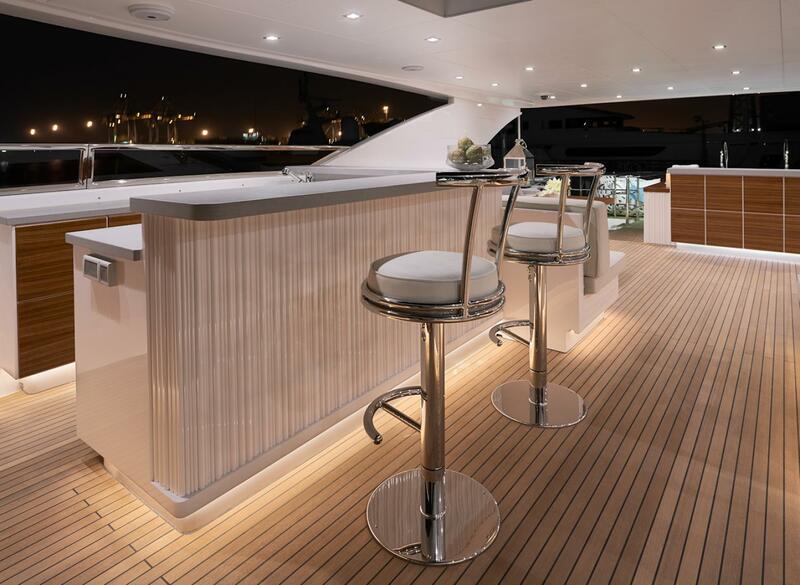 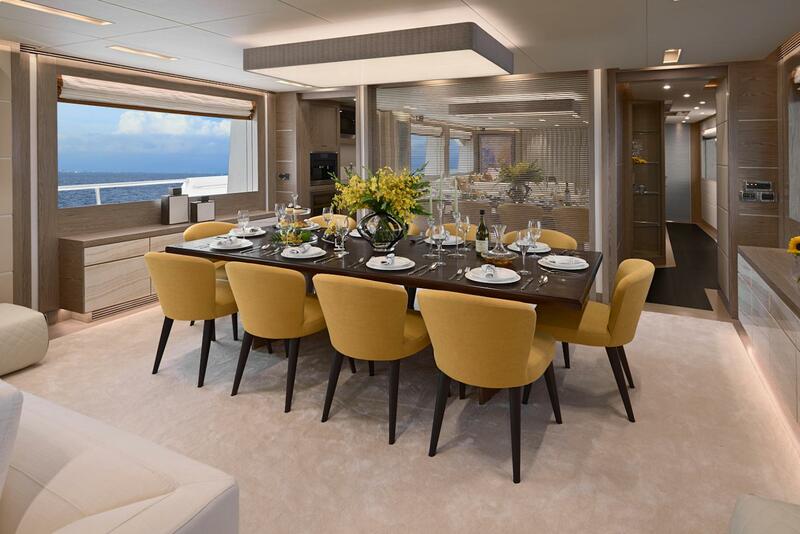 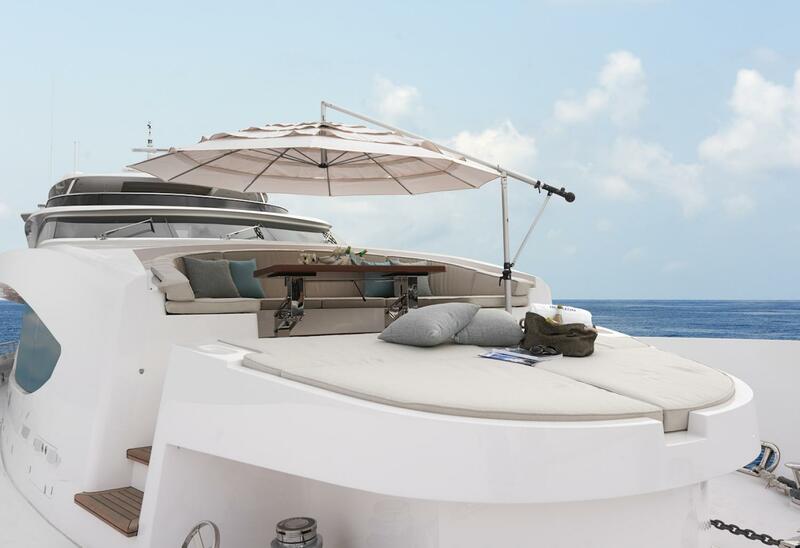 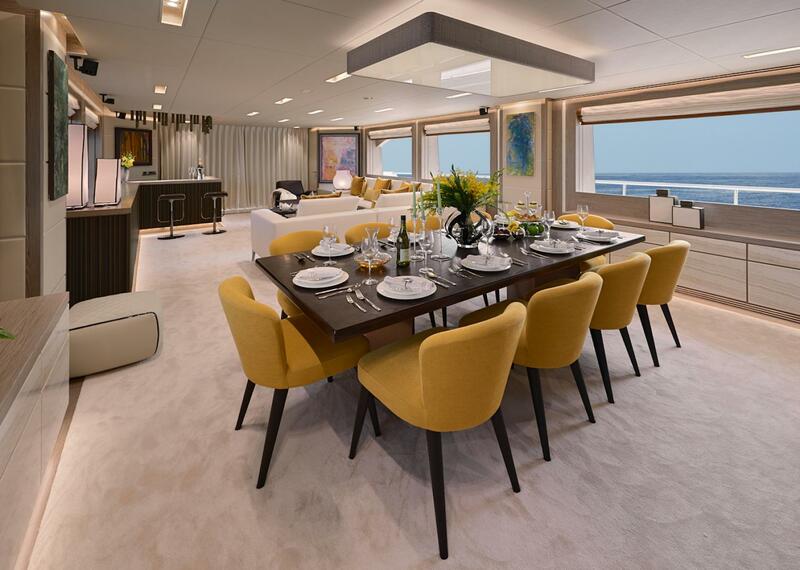 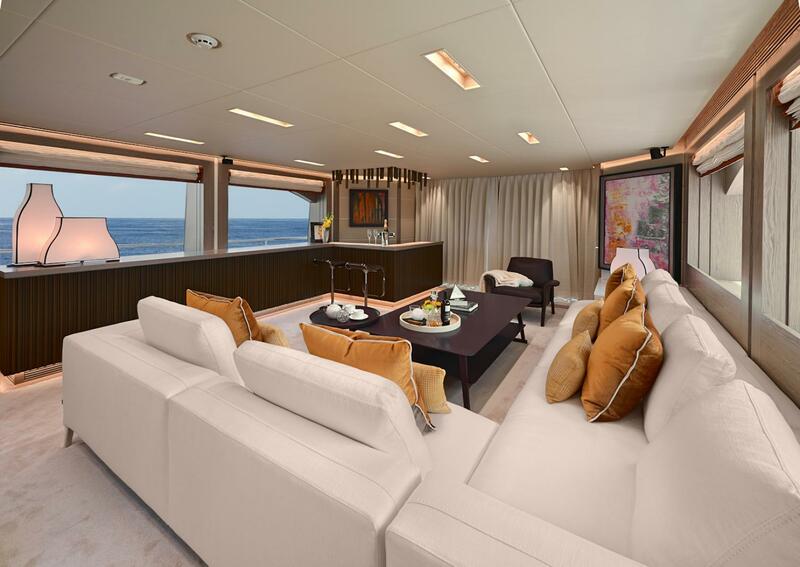 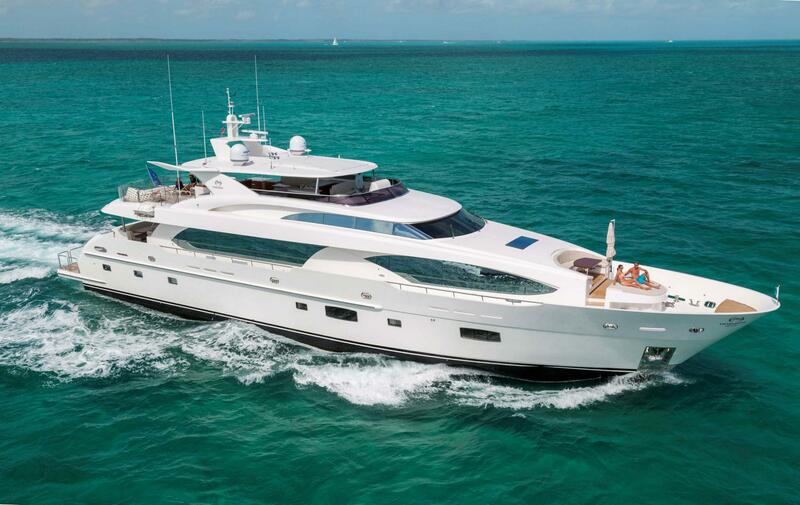 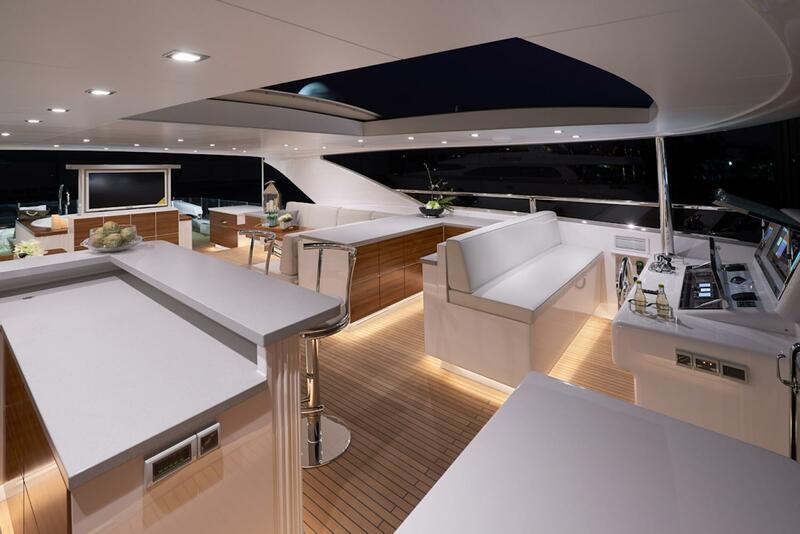 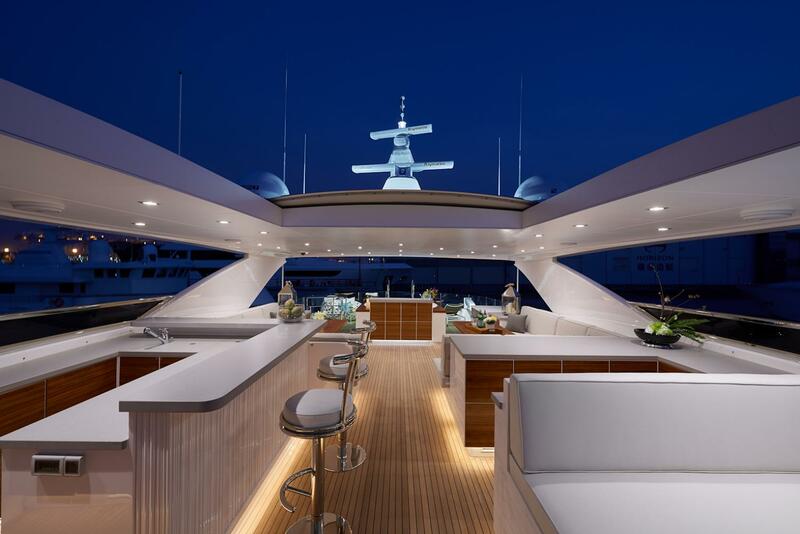 Numerous areas for entertaining and lounging are found throughout, including foredeck seating and sunbathing areas, a spacious aft deck, and a flybridge deck level that provides an immense area for al fresco entertaining and relaxing. 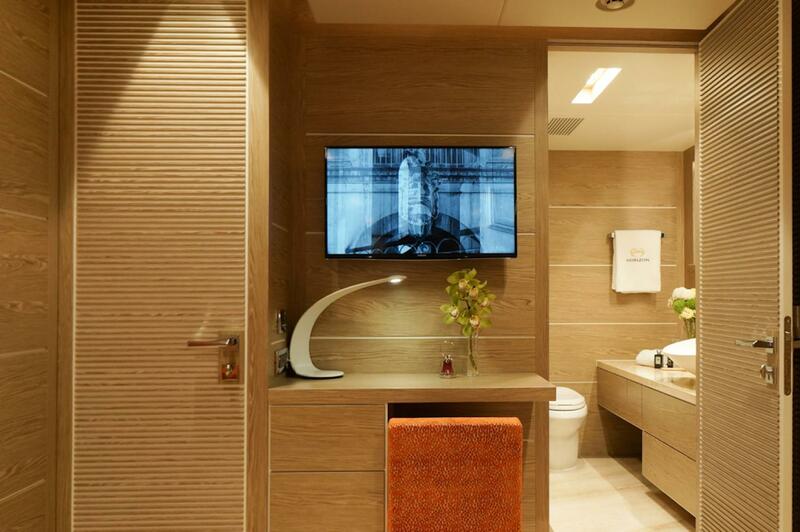 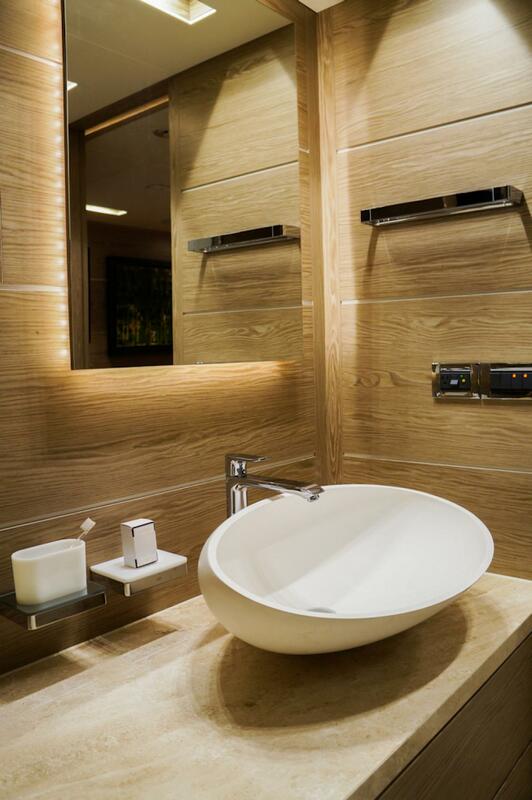 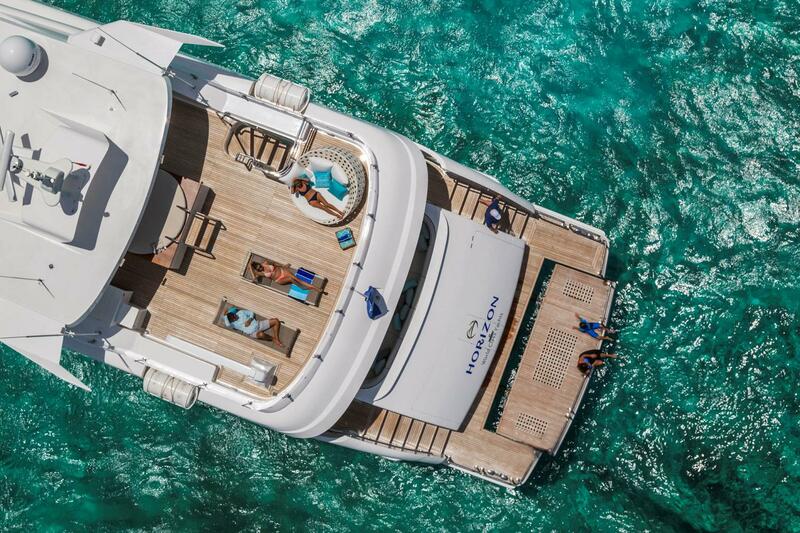 Layout options are only restricted by your imagination. 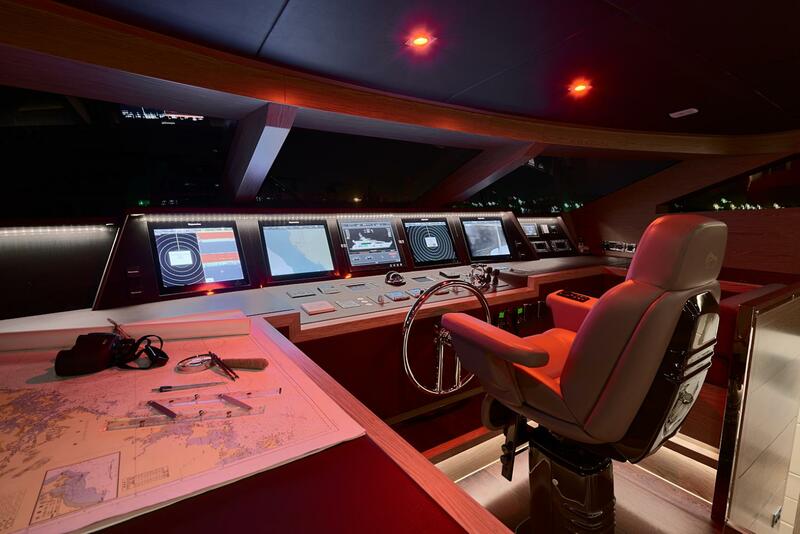 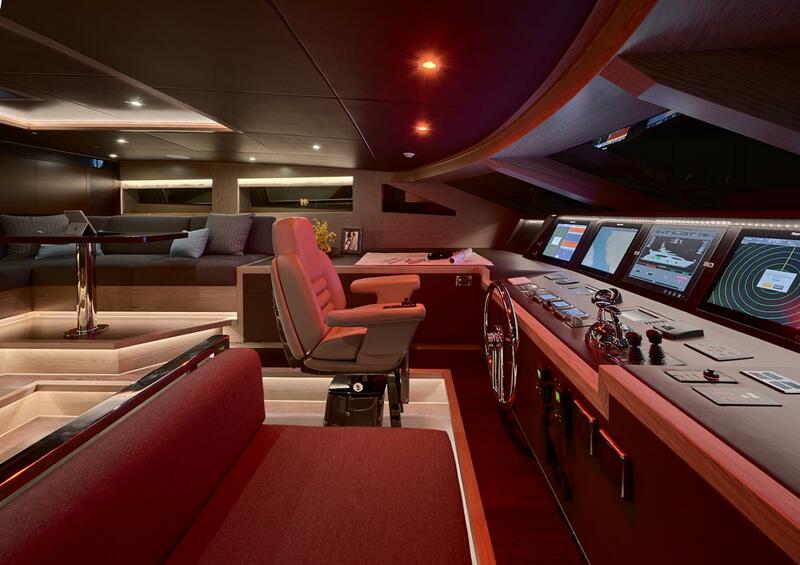 A truly comfortable, elegant, and truly sea-going luxury yacht, the Horizon RP120 reflects Horizon’s continuous drive to improve upon yacht building technology. 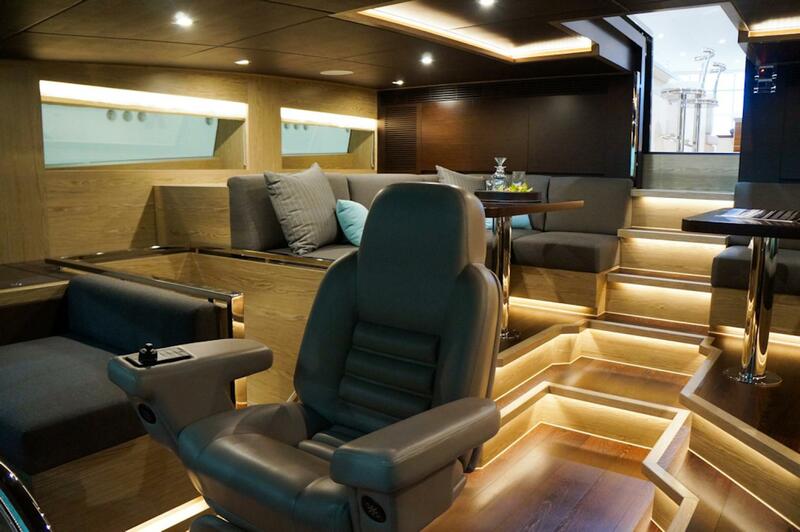 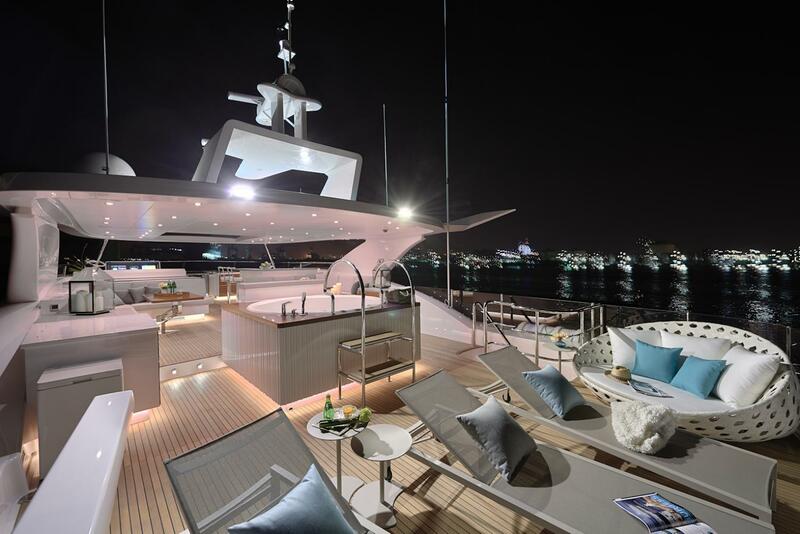 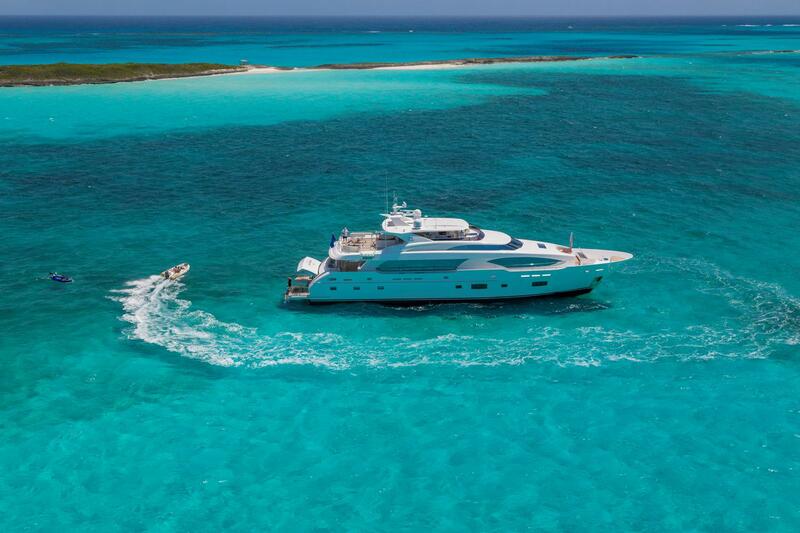 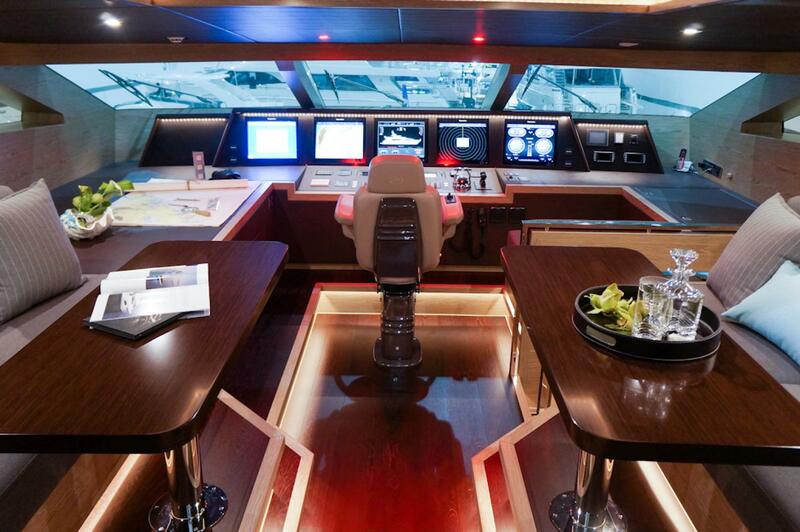 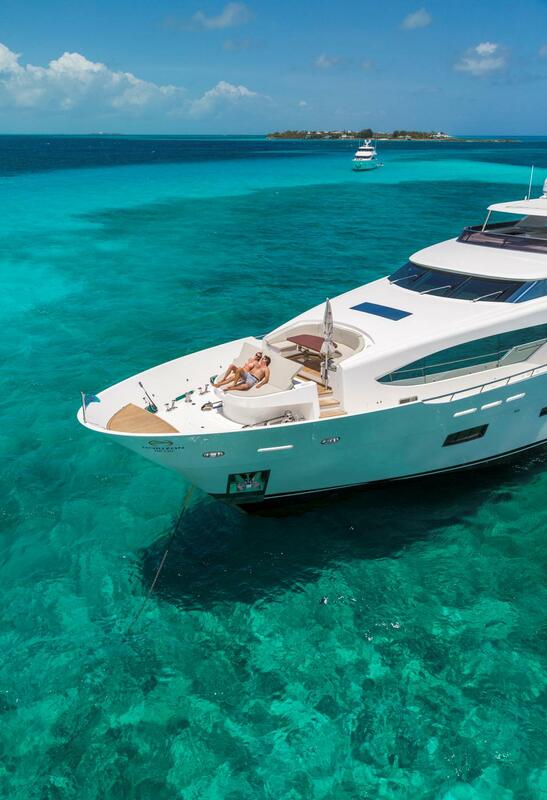 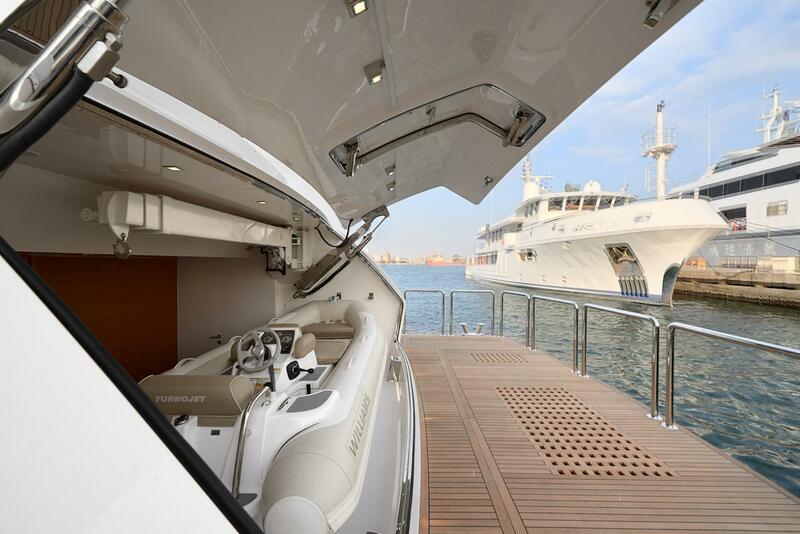 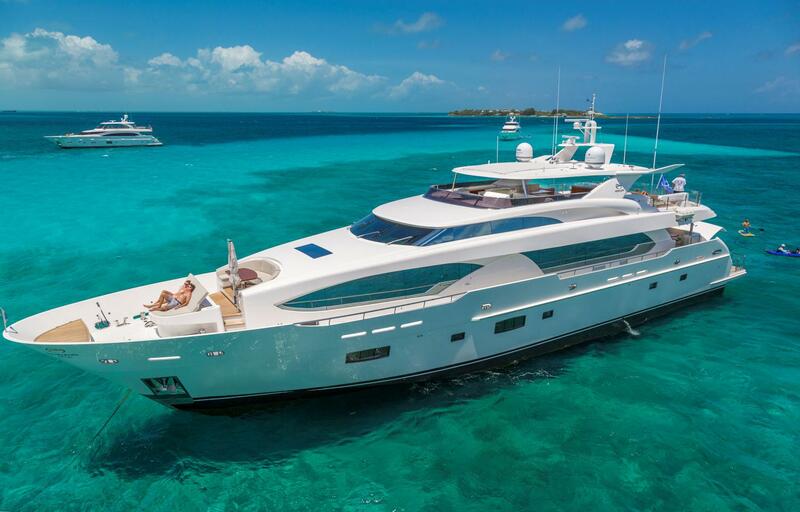 Click here to view beautiful video of this Horizon RP120 superyacht! 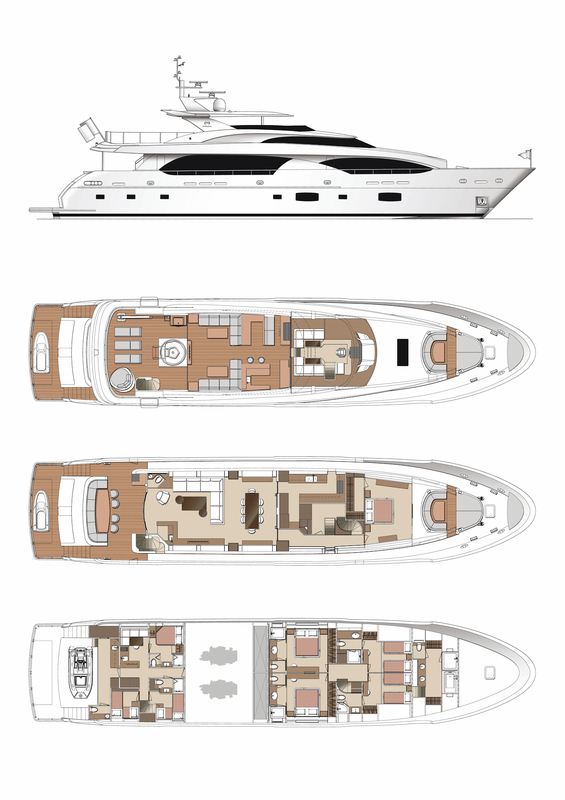 To get a copy of the Horizon RP120 Brochure sent to your email, please enter your information below.